'Someone To Speak For You': Low-Income Tenants Get Lawyers For Housing Court A growing number of residents in New York City qualify for a first-in-the-nation program to provide free legal services to low-income tenants facing eviction. 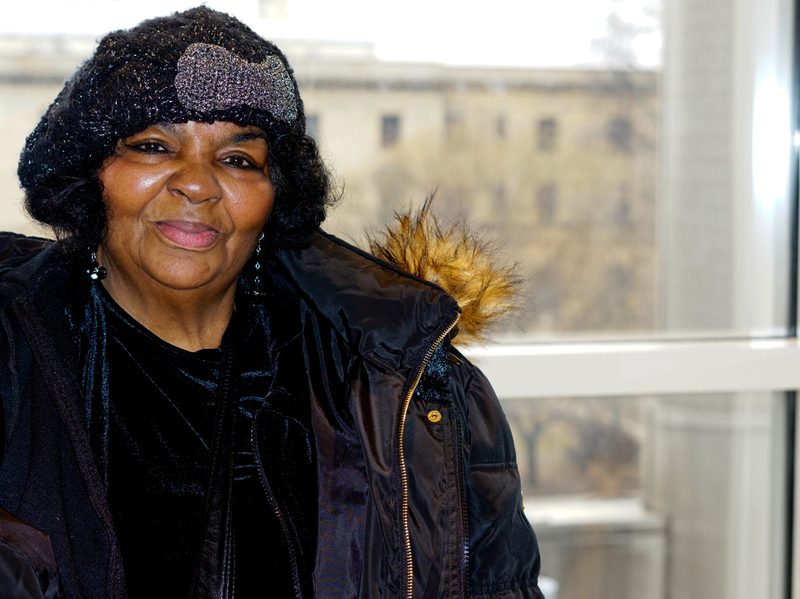 Tenant Jacqueline Davis held back rent when her landlord didn't fix damage from a burst pipe. Jacqueline Davis walked into the Bronx's housing court hoping to stop her landlord from evicting her from the one-bedroom apartment she has lived in for nearly 30 years. Worried about becoming homeless, Davis unexpectedly found some good news in the crowded hallways of New York City's busiest housing court, where more than 80,000 eviction proceedings were filed last fiscal year. She's one of a growing number of residents in the city who qualify for a first-in-the-nation program to provide free legal services to low-income tenants facing eviction. "I think it's great," Davis said. "We had no legal representation before, and now you have someone to speak for you." The interest comes amid what some call an "eviction epidemic" — nearly 900,000 households across the U.S. were evicted in 2016, according to data provided by the Eviction Lab at Princeton University. Advocates argue that tenants facing eviction are ill-prepared to defend themselves in court, while the stakes are high — recovering from an eviction can be insurmountable. 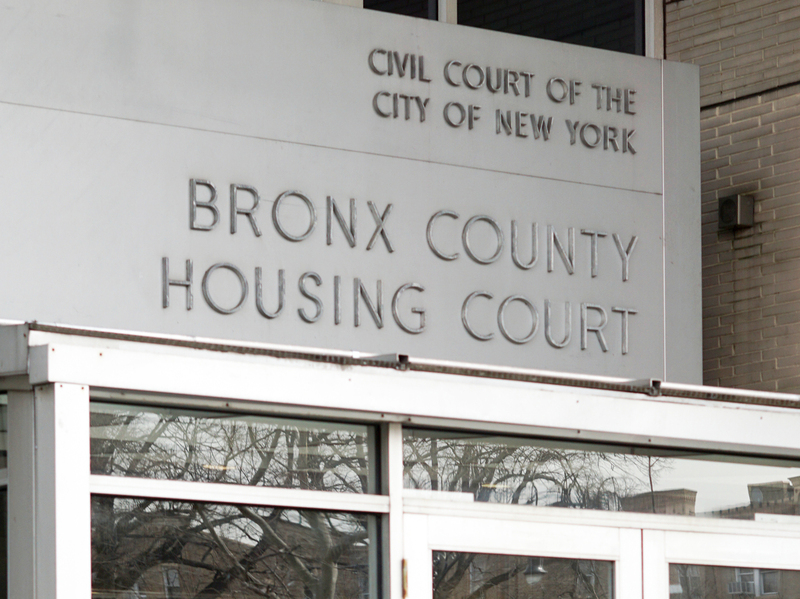 "The right to counsel for tenants facing eviction is the biggest step forward in access to justice in a generation," said New York Law School professor Andrew Scherer. "It's really the next frontier." "The fantastic part is to see the expression on the tenant's face when they realize they are going to receive a lawyer," Dillard said. "It's a dramatic expansion and a sea change in the way that the housing court has operated," Banks said. Thirty percent of New York City tenants facing eviction now have lawyers, and all eligible tenants should be receiving help by 2022, says Department of Social Services Commissioner Steven Banks. Jean Schneider, supervising judge for the New York City Housing Court, supports the change. She said judges have long struggled to help tenants without attorneys defend themselves — with limited success. The influx of tenant lawyers has changed court culture, she said. "I think all of us may respond differently by the fact that we have a level playing field with lawyers on both sides," she said. "Even with the best attorney, the housing court is going to be faced with the ultimate question of does the tenant have the money to pay the rent or not," he said. Faliks said Davis' case is all too common: Tenants with homes in disrepair don't know their legal rights and are forced to pay money they don't owe or are forced out by landlords. Faliks plans to push the landlord to give Davis back money for damages and dismiss the eviction. Davis is relieved to get the help. "I hope they don't evict me" she said. "I want to live my last years in a nice, quiet apartment with heat and hot water."